As founder of The Hertz Investment Group, Mr. Hertz directed the growth of the business from its beginnings as a small, New York based company to a national real estate investment firm. With an innovative vision, keen understanding of the market climate and a talent for recognizing hidden potential, Mr. Hertz has acquired premier properties of unique heritage and character. Highly proficient in assessing product types and geographic markets, Mr. Hertz has consistently exercised the sound judgment and entrepreneurial spirit critical to earning the company both national prominence and profitable performance. 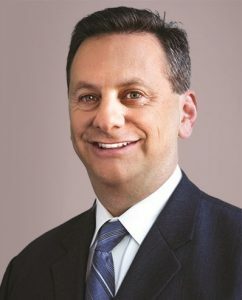 Mr. Horwitz joined HIG in 2002 as its CFO and, in 2006, he became the President of the company. As the President, he oversees daily operations as well as the coordination of the asset strategy across the company’s portfolio. Mr. Horwitz began his real estate career thirty years ago with JMB Realty. Since then, he has worked in a senior management capacity for Disney Development Company, Transwestern Commercial Services, and for a high net worth California real estate family. 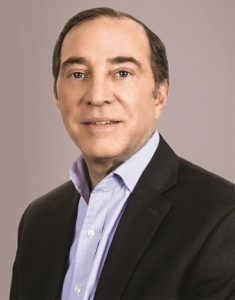 Given his success in both institutional and entrepreneurial situations and in all the disciplines of real estate ownership, Mr. Horwitz’s background is well-suited to HIG. His hands-on experience in acquisitions, development, management and leasing of high profile and trophy assets allows him to add great value to the Hertz portfolio. As such, he has been responsible for closing real estate transactions valued at over $3.5 billion. 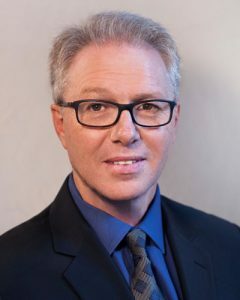 Mr. Horwitz graduated from Rhodes University (1983) in South Africa where he earned his bachelor’s degree in Business Administration. He is a member of the American Institute of Certified Public Accountants and a licensed CA real estate broker. Mr. Ingram currently works out of HIG’s Jackson (MS) regional office. As CIO, he is responsible for all acquisition and disposition activity within the company. Additionally, he supervises the leasing activity for approximately eleven million square feet of office properties throughout the South. While at HIG, he has led the acquisition of 30 office properties, totaling 13.5 million square feet and $1.6 billion in investment. Prior to joining the company, Mr. Ingram worked for over 23 years at Parkway Properties, a publicly traded real estate investment trust, including eight years as Executive Vice President and Chief Investment Officer, and fifteen years as President of Parkway Realty Services. As EVP and CIO at Parkway, he led the acquisition of 63 properties and directed the sale of 58 properties representing 26 million square feet and $3.7 billion. Prior to that, he was Senior Asset Manager for approximately 3.8 million square feet of office properties throughout the South and Midwest. During his career, Mr. Ingram has negotiated the purchase or sale of 38 million square feet of office properties, totalling over $5 billion in investment. 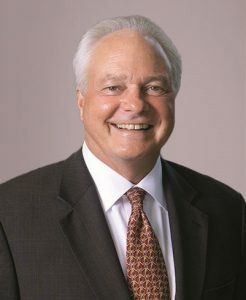 A graduate of the University of Mississippi (1978) and the Harvard Business School Advanced Management Program (2002), Mr. Ingram currently serves as Director on the Board of Mississippi Valley Title Insurance Company, Vice Chair of the Jackson Downtown Partners Board, President of the Greycastle Lakeowners Association and as Director on the Greater Jackson Chamber Partnership Board. Mr. Kasim is responsible for HIG’s financial operations, with oversight of all financial planning and reporting, treasury management, debt management, tax planning, information technology, and human resources. In addition, Mr. Kasim is integrally involved in developing and executing the overall corporate strategy. Prior to joining the company, Mr. Kasim served in several executive capacities with Steadfast Companies, including as head of institutional capital markets, as well as chief financial officer of several of its entities. Mr. Kasim has also served in several executive capacities with publicly-listed and privately-held real estate investment companies, and has been involved with in excess of $2.5 billion in commercial real estate transactions. 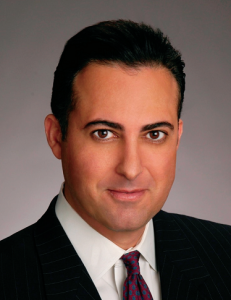 In addition, Mr. Kasim previously served for eleven years, including as a Senior Manager, with Ernst & Young’s Real Estate and Hospitality practice, where his clients included some of the largest real estate and hospitality companies in the nation. Mr. Kasim received an MBA from the Marshall School of Business at the University of Southern California, where he graduated with honors, and a Masters degree in Real Estate from Georgetown University. Mr Kasim also has a Bachelor’s degree in business administration from California State University, Northridge. Mr. Kasim is a Certified Public Accountant and also a Certified Management Accountant. At USC, he has served as an Adjunct Professor for the School of Policy, Planning and Development and serves on the executive committee of the Lusk Center for Real Estate. A specialist in real estate law, Mr. Forbess supervises legal, corporate, human resources and other business affairs of the company as well as all of its affiliated entities and properties. Prior to his joining HIG in 1999, Mr. Forbess served for five years as the company’s outside legal counsel. Over the past thirty years, Mr. Forbess’ real estate clients have included a number of prominent national and regional real estate development companies. During that time, he represented clients in the acquisition, sale, leasing, management and operations of many dozens of commercial properties. In addition, Mr. Forbess has represented numerous well-known business and entertainment clients. Mr. Forbess earned his bachelor’s degree from Amherst College and his J.D. from John Marshall Law School, rising from associate to partner during nine years with Rudin, Richman & Appel of Beverly Hills. He then formed his own firm, Forbess & Roth, specializing in real estate, entertainment and general business law. Mr. Dvorin has practiced commercial real estate law exclusively since 1984, with a primary focus on office, retail and commercial leasing. He has extensive experience in drafting and negotiating office, retail and commercial leases with a wide range of national, regional and local tenants. Mr. Dvorin joined HIG in 2014, after representing Hertz Investments as outside real estate/leasing counsel for many years. 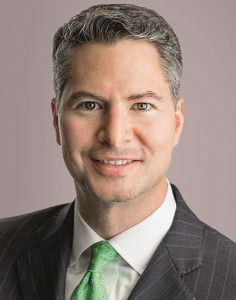 Prior to opening his own law practice in 2006, Mr. Dvorin was a senior associate with The Krasnove Law Firm (now Griffin Fletcher Herndon), a nationally recognized firm specializing in sophisticated commercial real estate transactions, where his practice emphasized commercial, office, retail and industrial leasing for a variety of institutional and entrepreneurial clients. In 1987, Mr. Dvorin became one of the first Certified Leasing Specialists in the nation through the International Council of Shopping Centers. 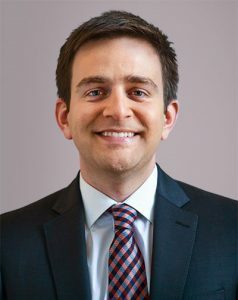 A Dean’s List graduate of Loyola Law School in Los Angeles, he has spoken on leasing issues at numerous industry events and conferences, and is an active participant in various real estate associations. For the past ten years, Mr. Hertz has served as Vice President of Asset Management, where he has provided hands-on oversight for the company’s broad portfolio. This includes more than ten million square feet of office space, where he maintains direct relations with principal tenants across the country. Mr. Hertz has also created and implemented a sophisticated, efficient and transparent realty asset control-and-services delivery system for the company. Mr. Hertz is a dedicated philanthropist through his family trust. He holds a master’s degree in Business Administration from the Stern School of Business at New York University. Mrs. Gordon joined HIG in 2013 and is currently overseeing the management of approximately 500,000 square feet of office space in Downtown and East Memphis. She also coordinated the sale of Cincinnati’s historic Textile Building, a 213,000 square foot structure located in the Fourth Street Corridor of the city’s Central Business District. Mrs. Gordon is a graduate of Stern College in New York City, and holds a master’s degree from Columbia University. An accounting professional with extensive experience in financial management of commercial properties, Ms. Thomas joined Hertz Investment Group in 1996 as Controller, overseeing the financial reporting for the Hertz Group properties. In 2005, she became Senior Vice President and Corporate Controller/Treasurer. In this role, Ms. Thomas is responsible for budgeting, tax returns, and financial reporting for the corporate business holdings – plus the nationwide monitoring of treasury functions. Ms. Thomas also assists with corporate business development, implementing company-wide policies/procedures, and overseeing the Human Resource and Risk Management departments. Prior to joining HIG, Ms. Thomas held positions at several leading companies such as VMS Realty, Tishman West Companies, Allegiance Realty and Insignia Commercial Group. A financial executive with more than twenty years of experience in California commercial real estate, Mr. Brown joined Hertz Investment Group in 2007. In this role, Mr. Brown guides the budgeting process, plus the development of business plans for all of HIG’s properties. He also oversees their financial statements, monthly property reports, tax returns, and financial audits. Previously, Mr. Brown was controller at Arden Realty – at that time the largest landlord in commercial real estate market in Southern California. He was managed the co-development (with Lowe Enterprises) of the seventy acre. Howard Hughes Center, one of the nation’s largest mixed-use commercial developments. 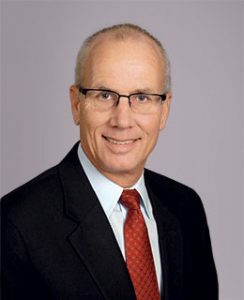 Subsequently, Mr. Brown was senior corporate controller for Westfield America, owner-operators of 119 major shopping centers worldwide, and then Vice President- Finance at Collier’s International, one of the world’s largest integrated real estate services providers with 12,700 employees across 294 offices in 61 countries. Mr. Brown is a graduate of California State University at Northridge with a degree in accounting finance. As the primary point of contact for Hertz’s lender relationships, Mr. Faguet is responsible for managing the company’s approximately $1.7 billion in leverage. He is also responsible for portfolio liquidity, loan compliance, financial reporting, and streamlining the capital funding process. Previously, Mr. Faguet worked for Latitude Real Estate Investors, a privately held real estate debt fund, where he originated nearly $200 million in loans. He also managed a $300 million portfolio of high leverage bridge debt, spanning twelve states and all asset classes. Mr. Faguet has a broad background in commercial real estate, spanning loan origination and asset management, debt and leasing brokerage, syndication, and investment analysis. He earned a Bachelors in Psychology and a Masters in Business Administration from the Marshall School of Business at the University of Southern California, with a focus in finance and real estate. 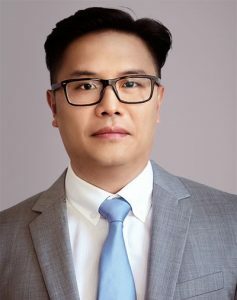 Mr. Ko is currently Vice President of Investment Analysis and is responsible for the Company’s underwriting of acquisitions and dispositions, as well as monitoring the performance of the firm’s investment portfolio. He also leads the investment team in financial due diligence and facilitates the financing process with various institutional lenders. During his tenure at the Hertz Investment Group, he has been responsible for evaluating new acquisitions from initial underwriting and risk assessment to conducting due diligence through final closing for over $1.5 billion of real estate transactions. Prior to joining the Company, Mr. Ko spent 3 years as part of the investment sales team at Greenwich Group International – a real estate investment bank with over $30 billion in capital transactions, and serviced the Southern California region. Mr. Ko began his career as a real estate technology consultant at REsolve Technologies which has subsequently been acquired by the CoStar Group. Mr. Ko is a graduate of Boston University’s Questrom School of Business. Ms. Iida joined HIG in 2000, initially serving as a Leasing Agent at their California Market Center and Director of Leasing at their International Jewelry Center, both in downtown Los Angeles. In these roles, she managed a high volume of lease negotiations of nearly one hundred transactions annually. In addition, Ms. Iida was responsible for extensive tenant management, where she built a solid background in customer and tenant relations. Following that, she was Property Manager for HIG’s Union Bank Plaza until its subsequent sale. 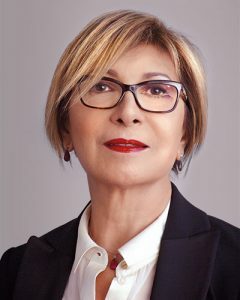 In her current post, Ms. Iida is responsible for managing the interests of the investors, as well as coordinating the interface between the numerous parties involved in the ownership and management of an HIG property. Additionally, she has leadership responsibilities for various special projects, such as managing the content and production of HIG’s investment and marketing materials. Ms. Iida began her career as a leasing agent for a boutique brokerage house and from there moved on to other entrepreneurial and corporate organizations, acting as a leasing agent for companies including, Bayco Financial Corporation, Lendlease and Jones Lang LaSalle. 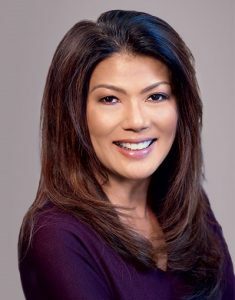 Ms. Iida graduated from California State University Long Beach with a Bachelor of Science degree in Business Finance, and she is a licensed California real estate agent. In 2015, Mr. Fishoff opened the New York office for HIG. 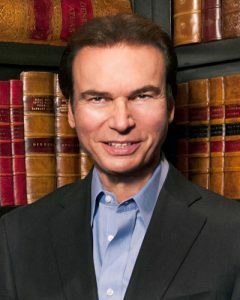 For the past twenty years, he has been involved in financing and developing residential and commercial real estate projects in the New York area. He also serves as advisor and Trustee for the Fishoff Family Foundation, with investments in over twenty commercial real estate projects. He received his JD from New York University School of Law in 1982, and practiced law for several years at LeBeouf, Lamb, Leiby & MacRae. Mr. Fishoff is active in philanthropies, serving on the board of several charity organizations, including Agudath Israel of America, a national umbrella organization which represents a myriad of Jewish interests, and the International Committee for the Preservation of Har Hazeitim, to preserve the oldest and largest Jewish Cemetery in the world. Mr. Fishoff also serves as the American Chairman of Yeshivas Mir Yerushalayim, the oldest and largest Talmudical Academy in the world. Working out of the Memphis regional office, Mr. Morgan is responsible for all leasing activity, budgeting, and supervision of third-party leasing professionals. Michael is also charged with developing and evolving tenant relations across the country. His current portfolio consists of approximately four million square feet spread across five states. Mr. Morgan brings a unique and insightful perspective to leasing. Prior to joining HIG in 2015, he spent more than eleven years at CBRE, the world’s largest commercial real estate services firm, as Vice President of Corporate Services. During his tenure, Michael successfully negotiated new leases, renewals, expansions, contractions and sublease dispositions totaling well over seven million square feet across the United States and Canada. Mr. Morgan is a graduate of Southern Methodist University in Dallas, TX where he received a Bachelor of Arts degree in Public Affairs and Crisis Management. More recently, Michael completed the New Memphis Institute Fellows Program for Emerging Leaders in 2013. He is an active participant in multiple philanthropic and leadership organizations around the Greater Memphis area. Mr. Trimpe oversees the leasing of Hertz Investment Group’s assets in Indianapolis, Cincinnati, Columbus, Cleveland, Milwaukee, and Worcester, Massachusetts. He is responsible for establishing and implementing the leasing strategy for the nearly six million square feet of office space in this portfolio. Mr. Trimpe’s real estate career started in Indianapolis in 1999, and has been focused primarily on landlord representation for institutional-grade office owners. Prior to his real estate career, Mr. Trimpe spent eighteen years as an independent insurance agent, where he focused on providing risk management services to commercial real estate owners and developers. 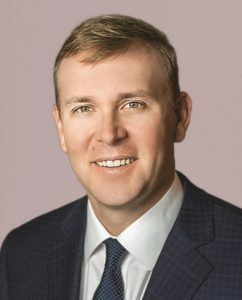 His extensive real estate career includes serving as vice president of the Office Group at Duke Realty where he was responsible for the leasing of their five million square foot Indianapolis office portfolio. Since 2006, Mr. Trimpe has been with CBRE in the Brokerage Services Group. During that time, he has negotiated nearly five million square feet of leases totaling over $500 million in total lease value. Mr. Trimpe earned his Bachelor’s Degree in Finance from Miami University in Oxford, Ohio. He is a licensed Indiana real estate broker. Based in Cleveland and working downtown out of Fifth Third Center, Mr. Caimi oversees the operations and administration of the portfolio’s Midwest and Northeast assets. Graduating from Harvard College in 1994, Mr. Caimi subsequently served for four years as an officer in the Marine Corps. 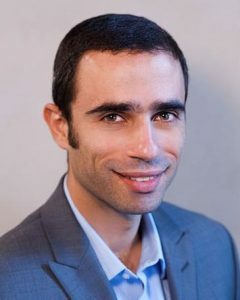 In 2000, he received an MBA from Columbia Business School, and remained in New York City working in real estate asset management for the next fifteen years. 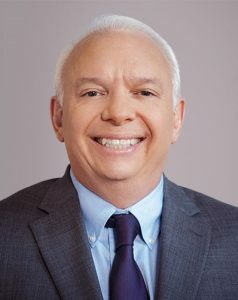 When family obligations brought him back to Cleveland, he worked as an Account Director for Avison Young, remotely managing 41 corporate locations for Unisys, a publicly traded IT company. Having achieved the rank of Captain in the Marine Corps, Mr. Caimi has leadership qualities that have proven helpful in the real estate industry. At Tishman Speyer, he rose from Assistant Property Manager of the Chrysler Building to Property Manager of the Lipstick Building to Director of Facilities, Operations and Engineering at NBC Universal at Rockefeller Center. He also served as the Director of Property Management in India during 2008. Outside of work, Jeff is active with non-profit organizations, and serves on the Advisory Board of the Salvation Army. 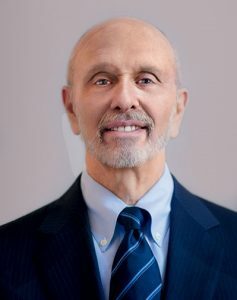 In 2011, he was awarded the John M. Griffin Community Service Award by the Real Estate Board of New York in recognition of his charitable and civic contributions to the community. 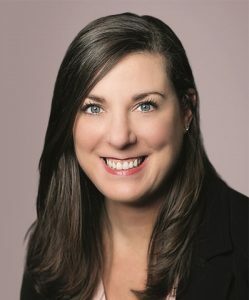 With Hertz Investment Group since 2012, Mrs. Kjellin oversees the day-to-day operations for 33 office properties totaling approximately 7.4 million square feet in the eight state Southeast portfolio. 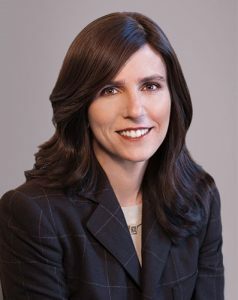 Prior to joining HIG, Mrs. Kjellin worked for Parkway Properties and Highwoods Properties, both publically traded Real Estate Investment Trusts. Mrs. Kjellin is a graduate of Delta State University with a Bachelor of Business Administration degree. She is a Certified Property Manager and Certified Commercial Investment Member, and also holds a Tennessee Real Estate License. Mr. Otillio is responsible for asset management of the HIG’s New Orleans region, which includes over 3.6 million square feet of office space. He also serves as General Manager of the city’s largest skyscraper and home to Shell Oil Company: One Shell Square. 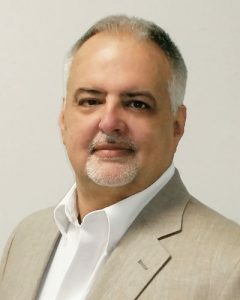 Mr. Otillio holds a Bachelor of Science degree in Accounting from the University of New Orleans and is a Certified Property Manager (CPM) with over 25 years of experience in the commercial real estate field. In 2008, Mr. Otillio was selected as a guest speaker at the BOMA Region Conference, and has developed Emergency Preparedness policies and procedures for three property management organizations. Professional speaking engagements have included property management topics such as emergency preparedness, operating expense recoveries, and financial forecasting/budgeting during his career. In 2005, following Hurricane Katrina, he was responsible for oversight of the $40 million repair and renovation project for One Shell Square. Mr. Otillio is the founder and Chairman of the New Orleans Families of Spinal Muscular Atrophy (FSMA) Bowl-A- Thon fundraising event and for several years served as Director of Charitable Events for the Krewe of Thoth. 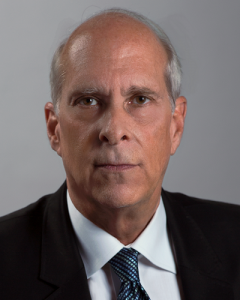 Mr. Schloegel joined the Hertz Investment Group in 2002 as a Chief Engineer of Poydras Center in New Orleans. As the Hertz Investment Group acquired additional properties in New Orleans and surrounding areas, his role expanded regionally. In 2014, Mr. Schloegel was promoted to his current position. 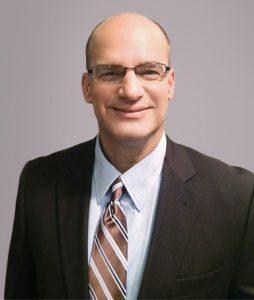 With over thirty years of experience in commercial properties, Mr. Schloegel has proven expertise in building operations, construction management, budgeting, project management, emergency response, preventative maintenance, tenant relations and energy efficiency. Combined with his strong knowledge of electrical, mechanical and roofing systems, Mr. Schloegel is a valued member of the due diligence team. Mr. Isrow oversees HIG’s parking portfolio, working closely with on-site property leadership and third-party parking operators to ensure each parking operation performs at an optimal level with respect to efficiency and profitability. With over 25 years of parking experience in the areas of leadership, operations and financial management, Mr. Isrow has vast operational experience with office buildings, mixed-use developments, airports, universities, hotels, sports venues and hospitals. Most recently, he was responsible for all parking and transportation management for a top university in Southern California. Prior to this, he was a senior executive responsible for several notable locations such as the three major New York airports (JFK, LaGuardia, Newark), STAPLES Center in Los Angeles, and The Offices of South Coast Plaza, in Orange County, CA. Mr. Isrow earned a Bachelor of Science degree in Business Administration from the University of California, Riverside.